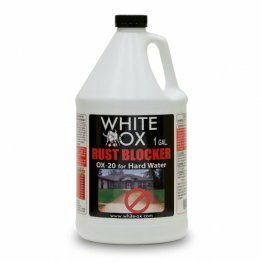 White Ox Blocker 20 rust stain preventative is most effective when water hardness measures 15 grains per gallon or more. One gallon will treat 125,000 gallons of well water with 1ppm iron. For irrigation applications only.